Tourism New Zealand’s Middle Earth Stamp campaign was recognised with the Grand Prix for Media at the Spikes Asia Awards held in Singapore last week. 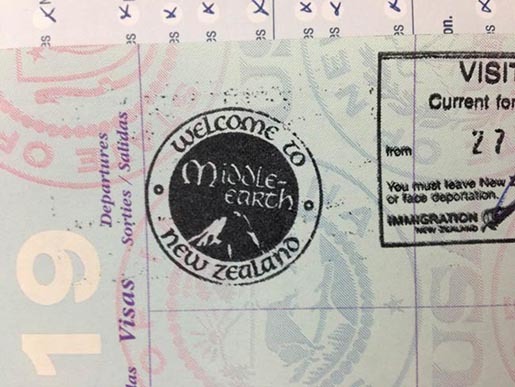 Department of Internal Affairs officials issued a specially designed “Welcome to Middle Earth” stamp in the passports of 70,000 international travellers arriving in New Zealand during the premiere week for The Hobbit: An Unexpected Journey in November 2012. Whybin\TBWA, the agency behind the project, explains the thinking behind their work. Larry Curtis, Senior Contributor of ‘theonering.net’, was invited to act as guest editor for the New Zealand 100% Pure Facebook page. 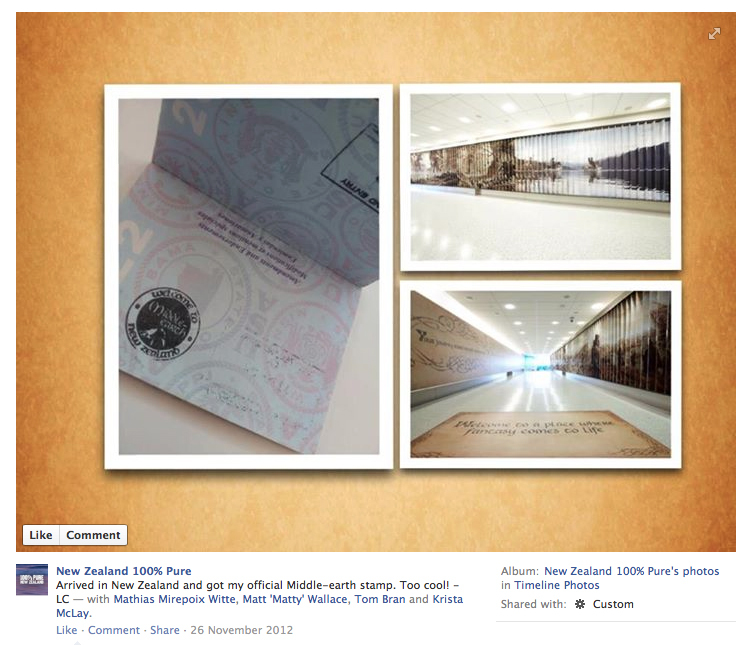 Arriving in New Zealand he immediately photographed his passport stamp and broadcast it online via Instagram and Facebook to his hundreds of thousands of followers. Within an hour posting a photo of his own stamp, Larry received nearly 4,000 likes. 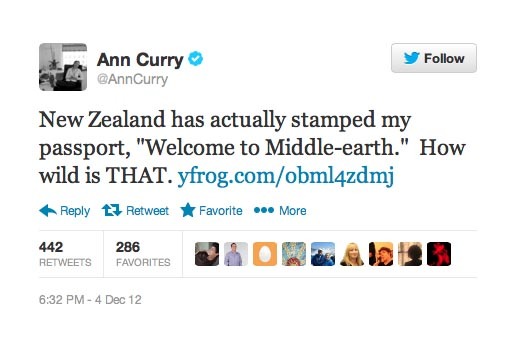 Journalist Ann Curry posted a shot of her Middle Earth passport stamp to 1.45 million followers adding: ‘NZ has actually stamped my passport ‘welcome to middle-earth’. How wild is THAT’. 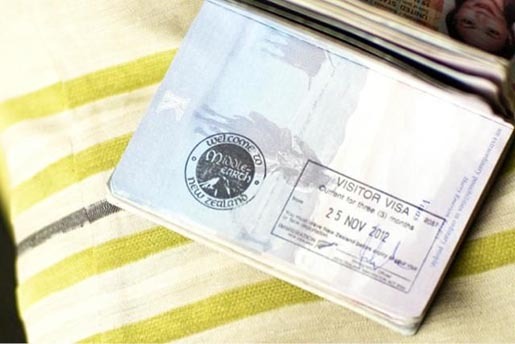 The Passport Stamp campaign was developed at Whybin\TBWA, Auckland, by executive creative director Andy Blood, copywriters Ryan Price and Lucy Morgan, art director Cece Chu, designer Chris Lewis, group head Natasja Barclay, digital creative director Ross Howard, planner Julie Maciver, production manager Michelle Hong, senior account director Julia Mckee and account manager Lynlee Smith.